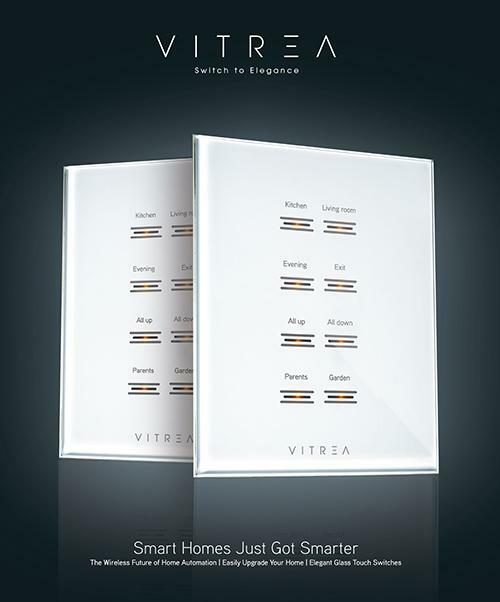 VITREA is a leader in lighting, AC, ACS control technology, fusing a reliable control system touch with an elegant glass design. Our innovative technology both wired as wireless is changing the vision of what we know today. Our exclusive technology ARANET, acts as a virtual Spider Web, connecting your home or business through the Vtouch Pro buttons and the Vbox Pro driver.